It’s 1991 in the modest town of Moncada, Tarlac. Her husband just died. Her father followed shortly after. She’s 30 years old, a mother of two — the youngest just 6 months old. And up until that moment, she has not worked a day in her life. She could take over the family business — a small news stand at the town market. She could make good of her Communication degree. She could become a teacher like her older sisters. Maybe she could go to Manila to find her fate. Or she could fly overseas to clean bathrooms and sweep floors. She chose to do the last, as many Filipinos would from 1991, beyond that, and the years after. That year there were 615,019 Overseas Filipino Workers or OFWs. Her story is one of the better ones. I have heard of men who, in local slang, tumalon sa barko or who took on a European cruise to jump off at the port in their country of choice, living undocumented lives until they become legal. I have heard of men hopping onto small boats watching sharks swim the Pacific Ocean, wishing there is a pot of gold at the other side. I have a cousin who went to Saudi Arabia as a helper to a rich family; she waited for the family to take a vacation to London, and upon getting there, left her hotel room with everything she can take in her bag and hoped to God she will find something, or something will find her. She found a notebook with my mother’s number on it and found a payphone; her first words to my mother were: Ate naka pyjama lang ako, at ‘yung hotel na tsinelas (I am in my pyjamas wearing those thin hotel slippers). It was almost winter in England. My mother’s story goes like this: she found a local fixer in Manila, which she paid a little over P100,000 (or £1,400) for a one way ticket to anywhere. She was told she only gets three shots. She first applied for Australia and Canada, for which she got rejected by both embassies. United Kingdom was her last shot. The fixer found out that an International Club delegation from Manila was going to Scotland for a conference. My mom had to take seminars and in the end, her oath as a club member to make it all look legitimate. They faked a business permit in Taguig completely set up with phone numbers, so a person would answer to confirm she is indeed a wealthy businesswoman attending a conference, and not a poor single mother from the province looking to enter the UK. Her tourist visa was approved, so she flew to Scotland, hung around the delegation’s hotel for a day, packed her bags and took the train to London. 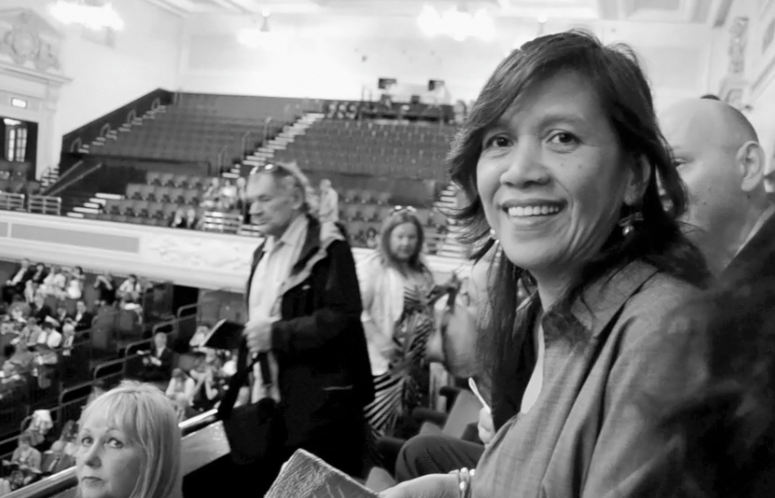 My mother, Lorina Buan Taylor, is a case study for OFWs. The rest was history. She did what she had set out to do: sweep the floors of London mansions, clean bathrooms and take care of British children. And she didn’t do it in just one household. She did it in two, sometimes three, or how many her time would allow her. She would find kind employers along the way, one a famous restaurateur in London, and they would help her obtain a work visa. 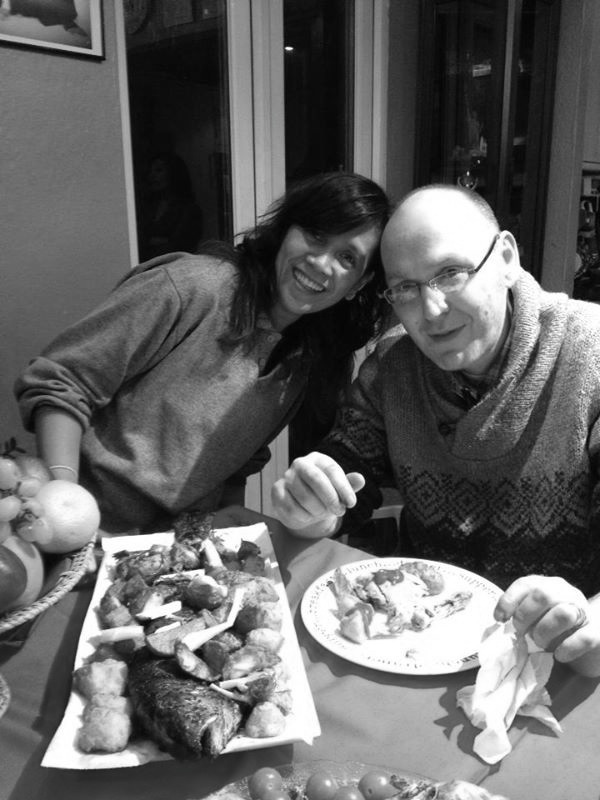 Eventually she would meet my step father, marry him, and become a British Citizen. My mom and my stepdad Nigel have been married for 15 years. It is a story heard many times around the world, a story said in codes, to avoid the judgment of neighbors who would raise eyebrows at the idea of being a yaya. But it is a story I am proud to tell. It was around 2001 when then-Prime Minister Tony Blair boosted the UK’s National Health Service or NHS, opening the doors to thousands of Filipino nurses and caregivers. From being a helper, my mother would join the NHS. So did a lot of other mothers and fathers, which allowed them to raise their families and build a life in England, giving birth to second generation British-Filipinos — a generation I would have belonged to had I stayed when my mother petitioned me. 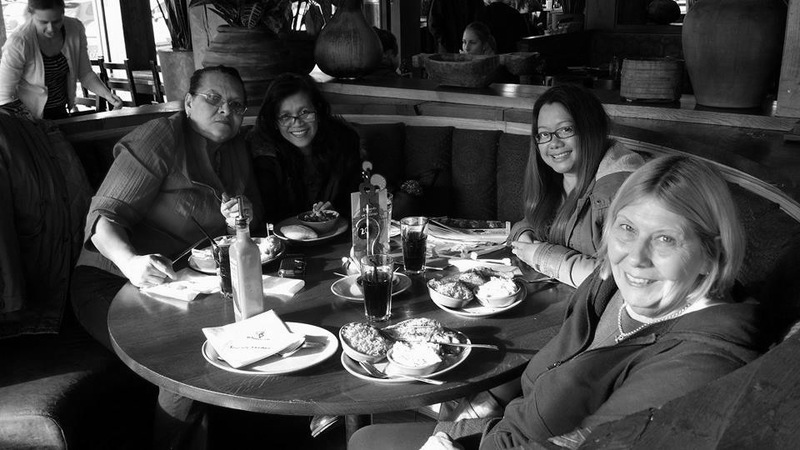 For years, we were the only Filipinos in Stevenage, until NHS became a boom and my Mom would eventually meet her best friends. So many movies have been made to tell this story. Ever since I turned 18, I have wanted to tell a different version. One with less crying, less drama; one that truthfully and accurately tells the story of Filipinos who became caregivers, like my Mother. That it’s not such a bad thing. Through it my sister and I were able to live good lives, the kind of life that did not require either of us to do what she did for work. It’s clear now why she had to labor for over 20 years in a foreign land. It was to give us a choice. Every two years we get to take a family portrait such as this. It is also the new emerging demographic for the 2.2 million OFWs today — young people with a choice. In 2011, 23.6% or the biggest cut of the OFWs were people aged 25 to 29. Why are these young people still choosing to migrate? I met 25-year-old Abys Maureen Delicano through the Internet. 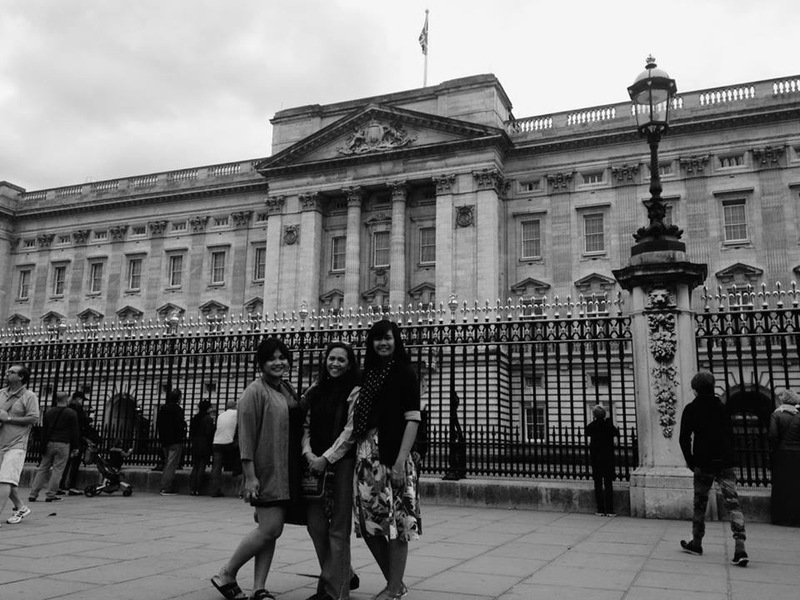 We were connected by a friend because she read my essay on why I chose to stay in Manila rather than live in London. 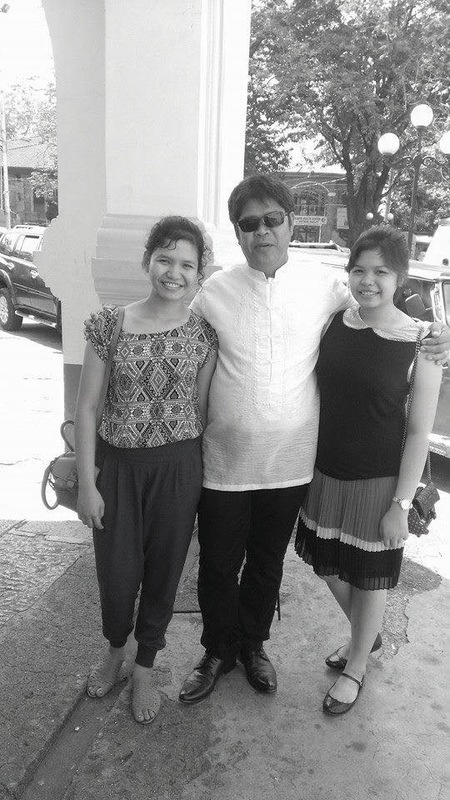 Abys with her father Arcangel and her younger sister Alexis, both of whom she left in Mexico, Pampanga. Abys with her friends from the University of the Assumption in San Fernando, Pampanga. At that point in our conversation, I felt like she was talking about me, someone who’s enjoying her youth, working for just herself, traveling, and taking her time. I asked her what drew her to my essay. “You had the guts to choose a life in the Philippines over a good life in London, at sana may sapat din akong lakas ng loob para gawin yun.” (I hope I’m also brave enough to do what you did.) But between the two of us, she’s the brave one. I relish the comforts of Manila thinking about nothing but making my dreams come true. But she chose to fight, leaving everything that was familiar and safe, not just for her dreams but for the dreams of her entire family. Beside her I am a coward. Abys taking on the world at 23. As young Filipinos become more and more empowered, there is this rhetoric about nationalism that demands the young ones to stay and contribute. I respect that rhetoric; I am part of that rhetoric. But Abys represents a side of the conversation that is important to discuss. My mother didn’t have a choice but to clean bathroom floors. 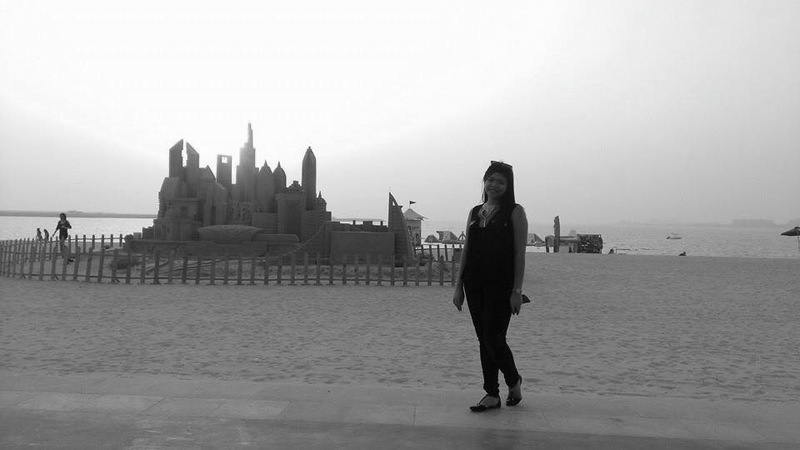 Abys has a choice and she chose to pursue her profession in UAE rather than pour all her talent here. There is a changing of contexts, but the root problem remains the same: as a country, we still struggle to provide quality lives to our people. A problem that is so deep-rooted even the most educated, most talented young people don’t find the opportunities here sufficient enough to stay. A problem so deep-rooted that the talented young photographer Xyza Cruz Bacani would work years as a helper in Hong Kong before the world could notice her haunting images. A problem so deep-rooted that Abys’ father who worked abroad so his children wouldn’t have to, still ended up seeing her off to the airport to follow the same path he did, even when he had given her a college degree and that thing that my mother gave me: a choice. When Pope Francis visited the Philippines last week, he made several mentions of OFWs, calling their contribution “neglected” in front of the President himself and all his Cabinet Secretaries when he delivered a speech at the Malacañang Palace. Later that day, he would face families at the MOA Arena, with a core message of Humanae Vitae and the Sanctity of Marriage, but still remembering to pay tribute to the “families who had to be separated by migration, their search for employment, and financial problems straining their households.” I ask Abys of this strain. She said her mother never fails to call or message her everyday, even if it’s just to say Good night or I love you. She did, however, lose a boyfriend because of the long distance. Abys and her mother, Marilyn. The strain is the most difficult part to tell in our family’s story. Over the years we have grown so much apart that it’s easier to love each other now from a distance. My sister and I will admit that it will be challenging for us to live together again. My mother and I can barely last a week under the same roof. It’s a dysfunctional kind of relationship, but one that has weathered so many storms, with wounds, bruises, and all to proudly show for it. My mother visits me in the Philippines once a year, while I visit her and my sister in England every two years. Last June when I was visiting England, my mom, my sister and I were approached by a man inside a pub in London, asking if we were Filipinos. He would later ask us if we were willing to take care of his aging mother. My sister, an English and Philosophy graduate from the University of Dundee, felt so insulted. I told her to look at the bright side: that at least we weren’t asked if we were willing to be his bride. When my sister graduated in 2012, we told our mother she can come home if she wants to. We’d like to think it’s now our turn to give her a choice. What I should have told her is that being asked to take care of people is never an insult. After all, we may just be the best yayas of the world. Saudi journalist Rawan Radwan searched three years to find her Filipina yaya Marie Ning, and would travel to the countryside in Nueva Ecija to simply hug her — and say thank you. When veteran Philippine documentarist Howie Severino covered the pro-democracy rallies in Hong Kong last October, he observed a change of character among the teenagers leading the protests — the young ones were more polite, vibrant and determined than the young once he had met many years ago in his many visits to the country. This generation, he wrote, is a generation raised by Filipina yayas. 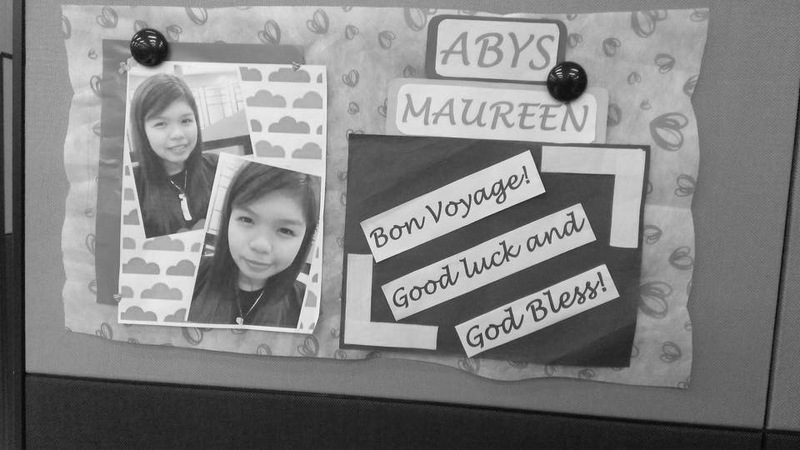 At 25, Abys is making an impression in a foreign-dominated company. That our actresses and actors are bringing London West End into a new era, our fashion designers are changing the face of American Couture, that we supply Europe’s Health Care Workers, Middle East’s engineers, Asia’s teachers, we are the drivers in the war zones in Iraq, we are the seafarers in oceans where there are pirates, we are the peacekeepers in Golan Heights and that our missionaries are risking their lives everyday in Sierra Leone and Guinea fighting Ebola. We take care of everyone, and I guess in that sense, whether one is a nanny or a helper like my mother or a professional like Abys, we really are the Yayas of the World. 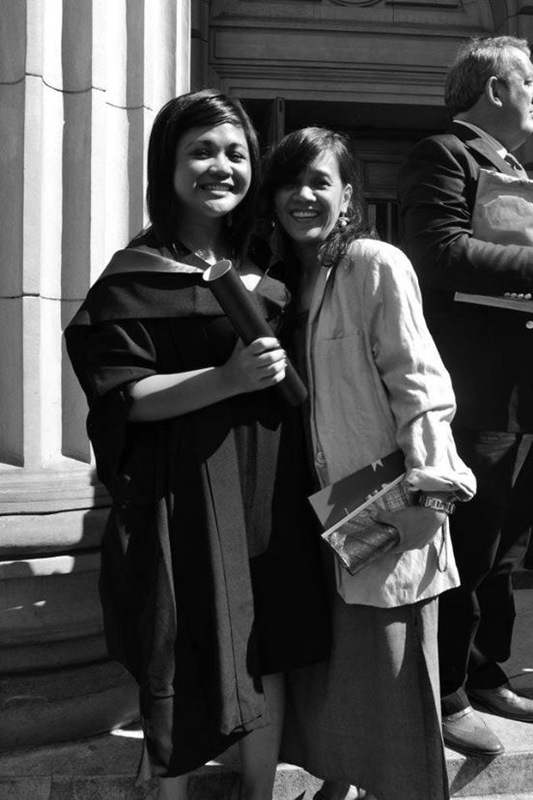 My Mama was a proud Yaya, but an even prouder Mother in this moment when my sister graduated, a fruit of all her labor. Our greatest contribution to the world is our people. We gave the world our greatest assets, so selflessly, so bravely, so proudly. 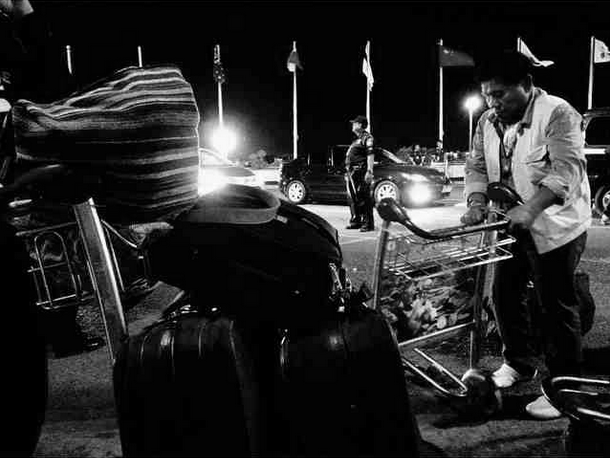 The story before was that Filipinos seek the help of other countries for a better life. Other countries seek the help of Filipinos for a better society. It is both a point of pride and a challenge for everyone of us, especially our leaders, that this is still a work in progress. Somebody has to step back and examine where we are and how we got here. It began in the 1970s when unemployment in the Philippines was at its peak, and there was a rising demand for blue collar workers in the Middle East and in Asia. Former President Ferdinand Marcos would then sign the Labor Code into law, creating provisions that promoted overseas employment. At that time, it was the Government’s response to an emergency, and they were successful. In just a decade, the number of employed Filipinos boomed, more than 300,000 of them were overseas. Our economy would come to enjoy the millions of dollars in remittances, and we would proclaim our OFWs heroes. From being a temporary solution, we have now fully embraced that Filipinos have to leave the country just to give their loved ones quality lives. As the world discusses the issue on migration, much is said about the countries that take them in, but few on the countries that let them go. No Philippine President after Marcos attempted to dilute policies promoting overseas employment. We created two national agencies to help Filipinos who want to leave: the Overseas Workers Welfare Administration (OWWA) and the Philippine Overseas Employment Administration (POEA). Our Department of Labor and Employment surveys the world for countries it can send laborers to, and through the state-mandated K-12 curriculum, the Department of Education trains students to be better fit for jobs abroad. This story also needs to change. Families need to be kept together, and above all societies, ours should be the ones to benefit first from its own people. 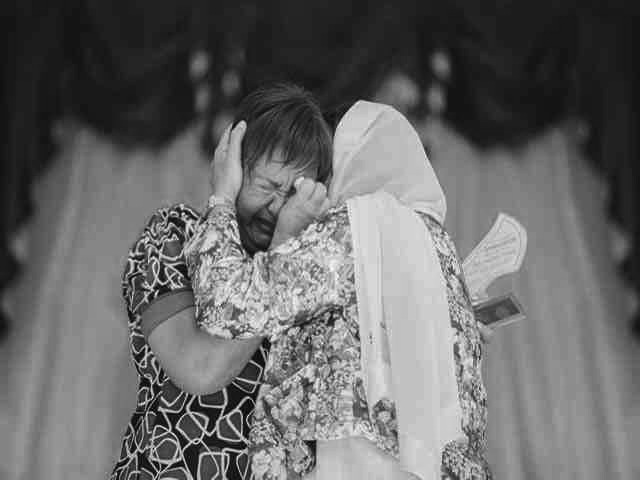 It has been a pleasure sharing our mothers, fathers, brothers and sisters with the world. But we hope they come home soon. Salute to all the OFWs in the world. Editor’s Note: Yaya is a Filipino term for a househelp, nanny or maid. This was later republished on GMA News Online. 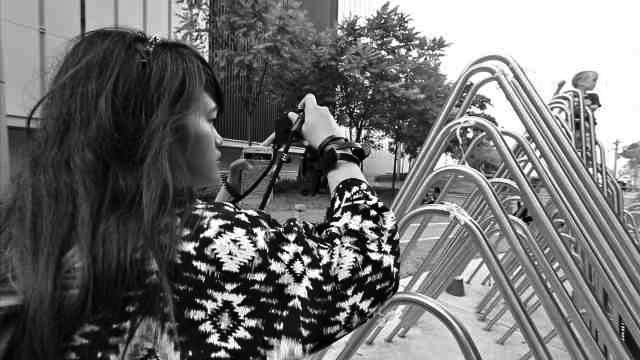 Lian Nami Buan is the Associate Editor of SubSelfie.com. She leads the #SubStory and #TanawMindanao segments of the website. She also produces special reports for State of the Nation with Jessica Soho. She wants to shift focus to human rights, particularly indigenous people, women and migration. Whenever she has money, she travels to collect feelings for writing material. 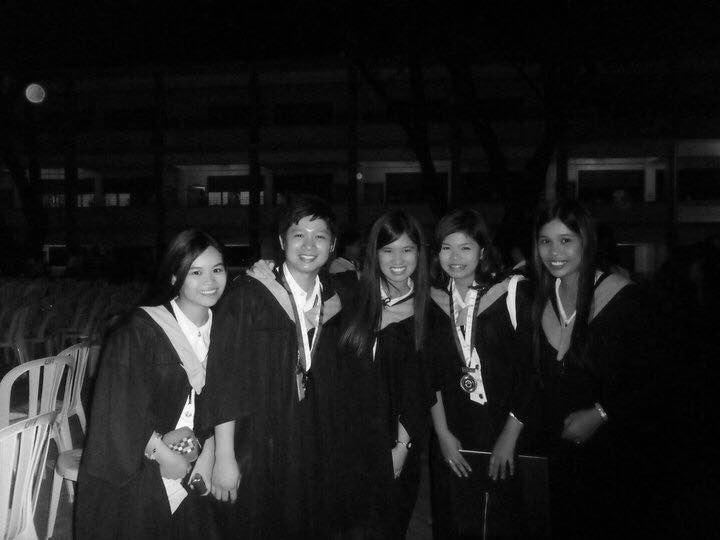 Journalism 2010, UST. Read more of her articles here. I was crying while reading it. Are any of your family, or you, an OFW? 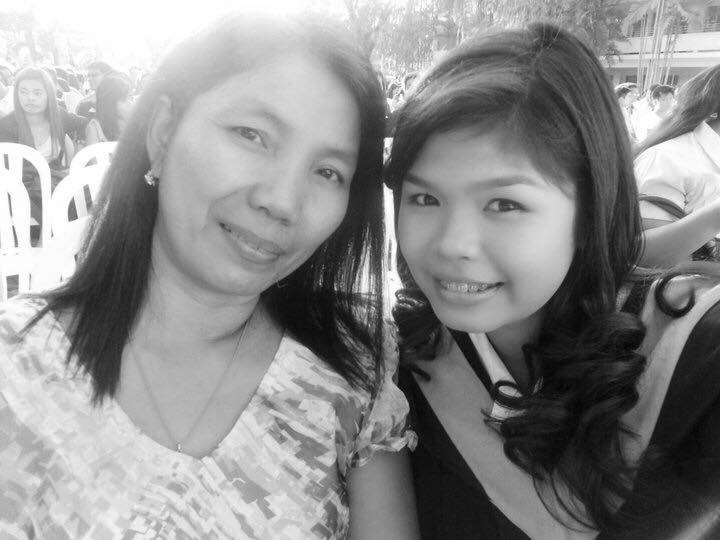 Yah, my father and brother and i became also an ofw but i choose to work in the philippines. Idol ko nga rin si Abys, she’s so gutsy, so are my many friends (incuding my best friend) who went abroad at a young age. What did you take up in grad school? I took up Graduate Studies Major in Project Management and Development……..I am pretty sure that there are so many other people that can relate to Abys story….. on a positive note her story (Abys) also shows that more and more OFWs are now working professionally abroad such as nurses, engineers, teachers, accountants to name a few…… and with that we as Filipinos were able to show, share and be recognize globally…..
Salamat Sir. Mabuhay po kayo at ang inyong sakripisyo. Saan po kayo nagtatrabaho? a well done story of inspiration…isa din ako OFW for 10yrs na. Your article is a wonderful treatment to all the yayas in the world. Having been raised by my yayas (not because my parents were OFW – they’re not – but because of, well, they somehow, indirectly or directly (? ), exercised their parental choice to have me raised by yayas), I would usually (half-jokingly, so as not to raise the ire of others) exclaim that “most of what I know now, I learned from my yayas.” Indeed, there’s truth to that and that’s why, until now, even though I don’t have a yaya by my side anymore, I regularly call the Philippines (I’m doing graduate studies abroad.) to check how my “remaining” yaya is doing, etc. For me, my yayas were the building blocks of my personal development. And that matters a lot. I’ve had the opportunity to meet a lot of OFWs not just in my current country of residence but also in those countries where I’ve lived or visited for the past years. Every time I do, I make it a point to engage them in conversations over coffee, lunch, or dinner. A lot of those I’ve met have told me about the families they’ve left in the Philippines and about the choices they’ve made not only to make ends meet but to, to borrow your words, “give [their family members more] options”. I am simply amazed by their courage. And I make it a point to tell them that. But then I would have to say, I am also disappointed by the rather strange treatment at times (i.e. lack of respect) that they usually get (again, this is based on my conversations with them and on what I’ve personally experienced so far) from non-OFW fellow-Filipinos, even those in public service. Yayas and OFWs deserve more than pity and scornful impatience (re: when they undergo bureaucratic and administrative processes, for example). I’ve been told of how different the treatments between OFWs on one hand and “wealthier” Filipinos abroad on the other are, and that is very disappointing, to say the least. As you have pointed out, even the Pope alluded to the contributions of the OFW, which often go under-appreciated. It’s time this has to change, and quickly too. teary-eyed after i finished the last sentence. my mother was an OFW for 8 years too, she left when i was in college and came back when i asked her to come home after i passed the bar. it takes a toll on Filipino families, iba pag buo ang pamilya eh. sana maimprove ang buhay sa Pinas para di na kelangan umalis pa mga Pinoy dito. PS: That answer would have made another Pinay a Ms. Universe. haha! 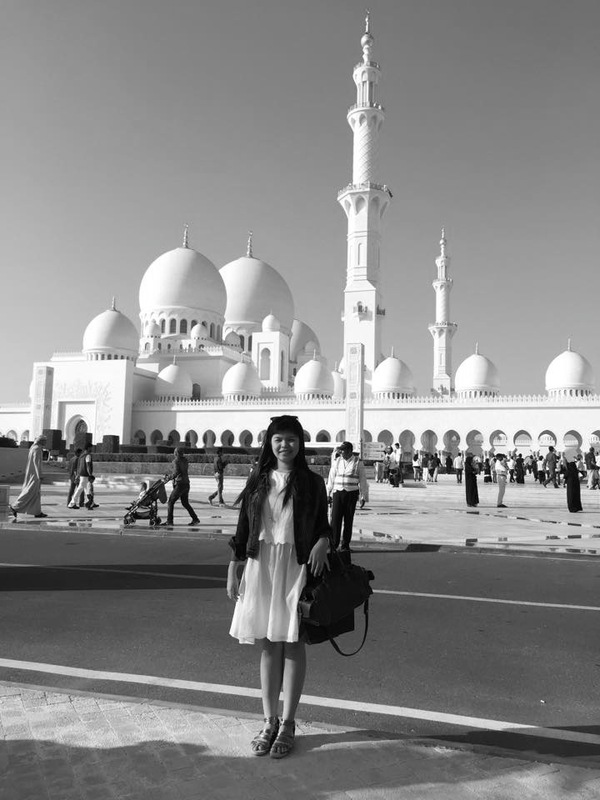 Nakakarelate ako sa kwento ni Aby, i went here in Dubai when I was just 23. Mag-aapat na buwan pa lang ako dito at di ko akalain na magiging ganito ang kwento ng buhay ko. Proud ako sa lahat ng OFW, lalo na sa mga batang OFW na tulad ko. Dadating din ang panahon na makakauwi tayo sa pamilya natin at di na kailangang mangibang bansa pa.
Mas naappreciate ko ngayon ang buhay OFW! Mabuhay ka Rosalyn!! Ano trabaho mo sa Dubai? Nariyan din ang pinsan ko bilang travel agent at ang best friend ko mula High School bilang Nurse. Masaya ba ang Filipino community diyan? Pero isa ako sa mga maswerteng Pinoy dito na nakahanap ng maayos na trabaho at kompanya! Masaya ang mga Pinoy dito (siguro may iilan na hindi) , pero ayos dito, para ding nasa Pinas ka sa dami ng mga kabayan!